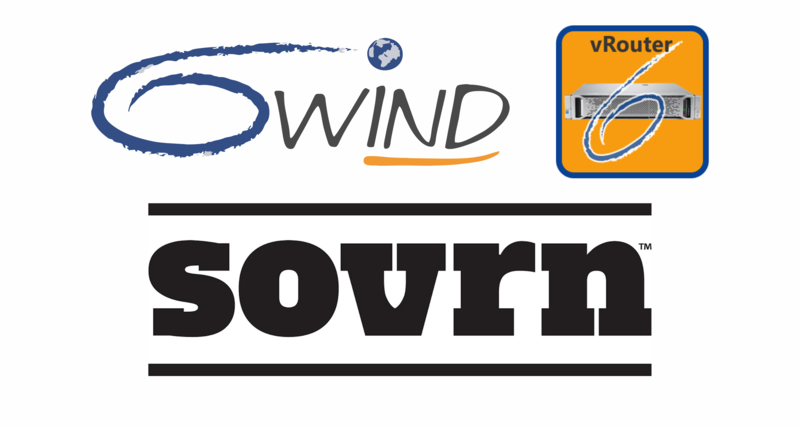 Today we announced that Sovrn, which helps more than 25,000 independent online publishers succeed, has selected 6WIND Turbo IPsec vRouters as an alternative to the Brocade Vyatta vRouters that they were leasing in a Software-as-a-Service (SaaS) model from a prominent cloud infrastructure provider. Upon receiving the end-of-sale and end-of-support notification for Brocade’s vRouters, Sovrn evaluated 6WIND Turbo IPsec software appliances and found them to be a drop-in vRouter replacement. To read the full story on SDXCentral, please click here. Sovrn is an innovator to leverage virtual routers, or vRouters, instead of traditional hardware routers for its network services. It uses vRouters to route and secure traffic between the sites and data centers that give publishers and content creators the products and services needed to create and grow their audience and business. Here you can see Sovrn’s network topology for secure VPNs in a multi-cloud environment. 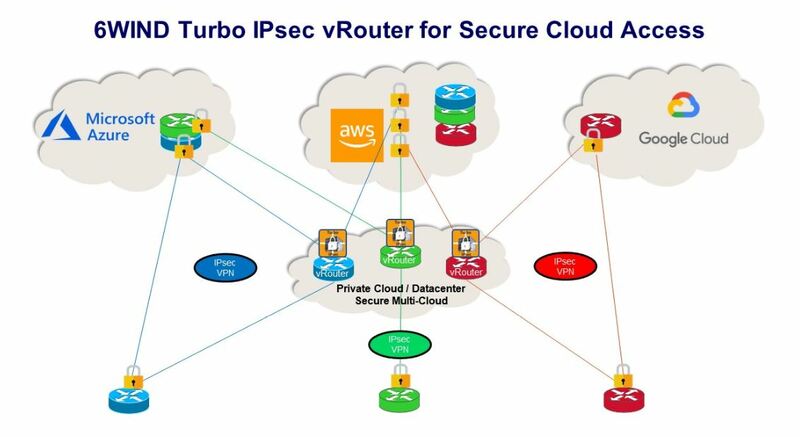 6WIND Turbo IPsec vRouters tested BGP routing, firewalling and IPsec VPN tunnels for data center to Amazon Web Service (AWS) traffic and from data center to data center, before being selected by Sovrn. Scalable Performance: Sovrn exceeded its 5 Gbps throughput metric for BGP, firewalling and IPsec VPNs when testing traffic from data center to AWS. 6WIND Turbo IPsec performance scales with the number of cores allocated to the system, giving Sovrn the flexibility to add additional capacity on demand. DPDK (Data Plane Development Kit)-enabled Features: Comprehensive list including IP routing, firewalling, NAT and IPsec VPN. DPDK support allows throughput acceleration to approach line rate for the underlying physical interfaces (NIC hardware). Monitoring: Sovrn gains system health information through traditional SNMP and syslog mechanisms, plus telemetry through sFlow and graphic analytics with time series data base, including pre-integration with Grafana. Contact us today if you have vRouter requirements for public or private clouds. We are also looking for Cisco, Juniper and MikroTik router users, and Brocade Vyatta vRouter users to test drive our new vRouter 2.0 beta that includes next generation management with CLI and NETCONF/YANG-based options. To join our beta program, register here.